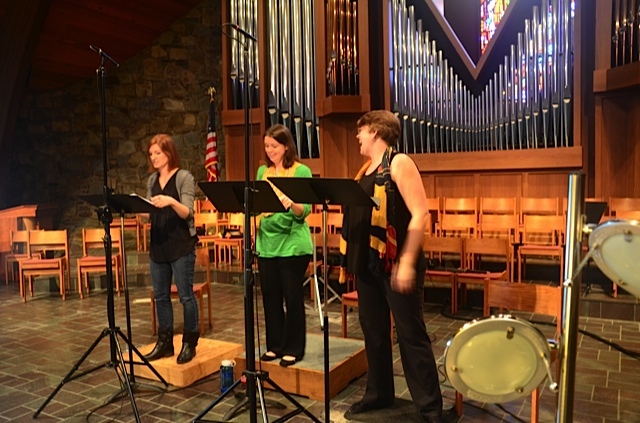 Armonia Celeste is collaborating with the Duke Vespers Ensemble as part of the North Carolina HIP (Historically Informed Performance) Festival in the Raleigh-Durham Triangle Area. The Festival runs from January 21 to February 7, and features a wide variety of performances by well-known ensembles. Concerts range from Handel’s opera Theodora, with the English Concert, to a new contemporary concerto for period instruments by Stephen Jaffe, and take place in various venues in Durham and Chapel Hill. See the complete listing at: http://triangleartsandentertainment.org/event/2014-north-carolina-hip-music-festival/. Our concert, “Roman Vespers in the Seventeenth Century,” will be performed in Durham on Friday, February 7, at 8:00 p.m. in the Duke Memorial United Methodist Church. 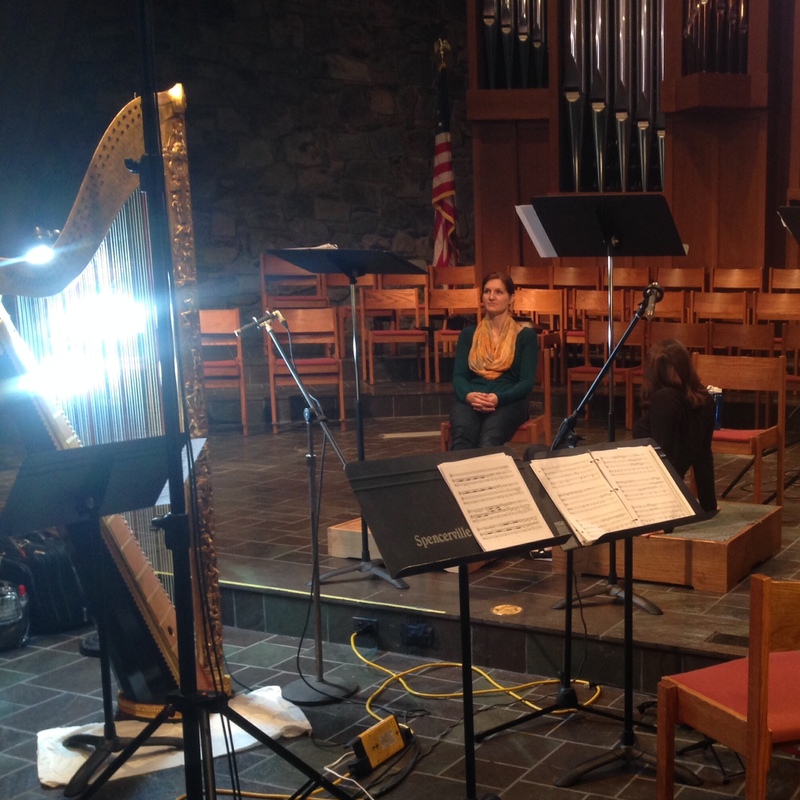 It has been an interesting challenge to find a program that would unite the forces of the Duke Vespers Ensemble and Armonia Celeste. 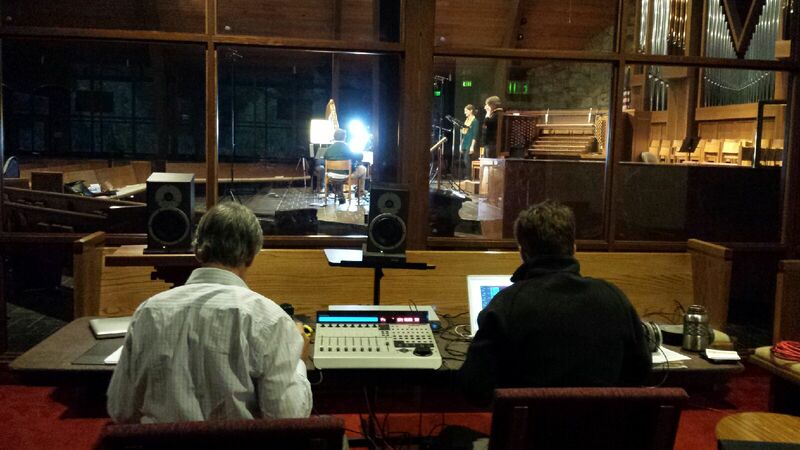 The Duke Vespers Ensemble, directed by Brian Schmidt, provides service music for the Duke Chapel, and Armonia Celeste is primarily a group that is focused on Italian secular music for seventeenth-century Rome—slightly different focuses. Luckily, there was a logical link to be found in the seventeenth-century Vespers tradition, which unites the riches of the sacred music repertory for three sopranos with the seventeenth-century Vespers choral repertory. A concert based on this Vespers tradition provides the structure for a program that involves both this wonderful music and these two ensembles. In the middle of the seventeenth century, Rome was a musical epicenter of festive, dramatic works of exceptional quality that often employed large performing forces. This style permeated operas, cantatas, masses, and concerti, but found its special focus in the great Sunday evening Vesper services, especially at St. Peter’s and other important churches. The greatest Roman composers often reserved their best works for these services. Five psalms—Dixit Dominus, Beatus Vir, Confitebor, Laudate Pueri, and Laudate Dominum—are commonly at the heart of the Vespers service. At major services, the psalms were sung polyphonically and were generally paired with a chant antiphon that changed daily. However, in the more festive services, these antiphons were frequently replaced with sacred concerti, performed by solo voices and sometimes accompanied by instruments. In the service, the psalms were always followed by the Magnificat, the Marian canticle found in the Gospel according to Luke. Other elements in the service, such as hymns, a Bible reading, and a homily or sermon were also often found. The service ended with a blessing. It is this basic overall form that organizes our program. The five psalms are being sung using larger ensembles on four or five parts. The music of the sixteenth-century Roman composers, Felice Anerio (who followed Palestrina as the official composer for the papal choir) and Tomas Luis de Victoria, is included because their fame led to their music being performed for decades after their deaths, especially in Rome. (Victoria was engaged at the Pontifical Seminary and the Collegio Gemanico [see below] before returning to Spain.) These works were composed and performed in alternatim style, where the verses alternate between polyphony and chant. We have also included psalms of the most famous Venetian composers, Claudio Monteverdi and Giovanni Rovetta, whose music was performed though out Italy and certainly reached Rome. Aside from these composers, the musical focus of our Vespers is on the works of the most important seventeenth-century Roman composers: Virgilio Mazzochi and Giacomo Carissimi. Mazzochi’s “Surge amica mea” will be performed as the opening hymn; Carissimi’s “Si linguis” will stand in as the antiphon/Bible reading, while his “Quo tam loetus” serves as the little sermon. The magnificent double choir setting of the Magnificat, one of Carissimi’s Vespers masterpieces, is the focus at end of the service, followed by his lovely blessing, “Benedictus Deus.” Instrumental pieces were sometimes included, and we are using the trio sonata “La Chorista” by Lelio Colista, a well-known Roman composer and lute player. 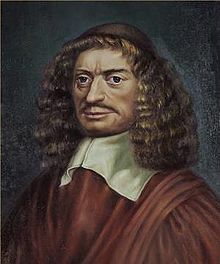 Virgilio Mazzochi was one of the most important composers in the first half of the century; he was the maestro di cappella at St. Peter’s, and also had connections to the Cardinal Francesco Barberini. 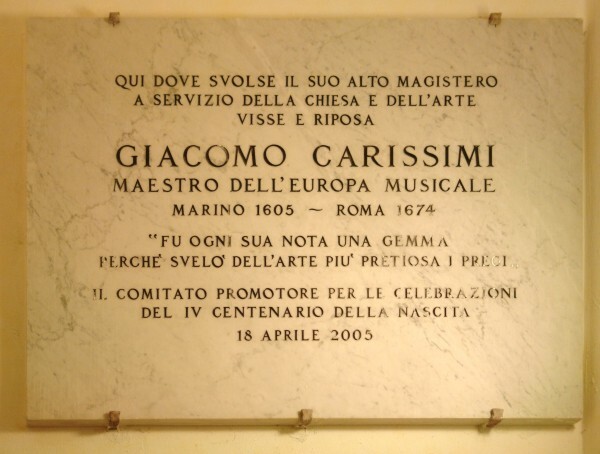 Probably the most famous composer in the middle of the century was Giacomo Carissimi, head of music at the Collegio Germanico, the Jesuit training facility for clergy from German-speaking countries that included music as a central part of the training. Much of his music, including the famous oratorios Jepthe and Jonas, was first performed at the Collegio. He also became the head of chamber music for the Swedish Queen Christina upon her abdication and move to Rome. When Carissimi died, the Collegio decreed that they would keep all of his music manuscripts and none were to be published—a tragic policy as it turns out, since his manuscripts were eventually given to nineteenth-century fishmongers for wrapping their wares. The original manuscripts disappeared forever. Luckily, much of his music was copied by students and others, and was widely distributed across Europe. Despite the great amount of music left to us, one wonders how much was lost to the world. “She walked like a man, sat and rode like a man, and could eat and swear like the roughest soldiers.” So she was described by one of her biographers. This was Queen Christina, the Rebel Queen, a queen like no other. Through conversations with Descartes and probably her Italian musicians, she gradually became interested in the Catholic faith. 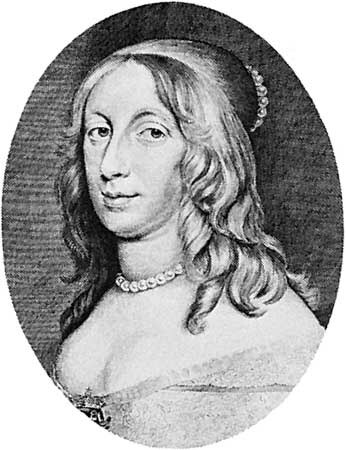 Queen Christina eventually decided not to marry. 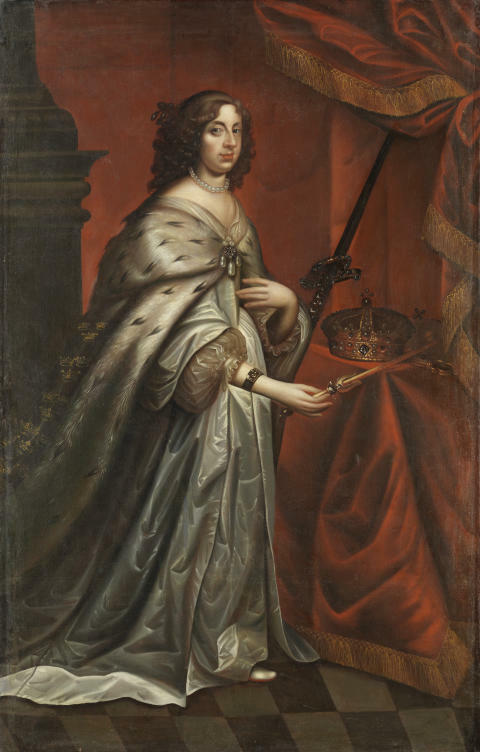 In June 1654, she abdicated the Swedish throne, discarded the Lutheran faith, converted to Catholicism, and began her journey to Rome to take up residence there. 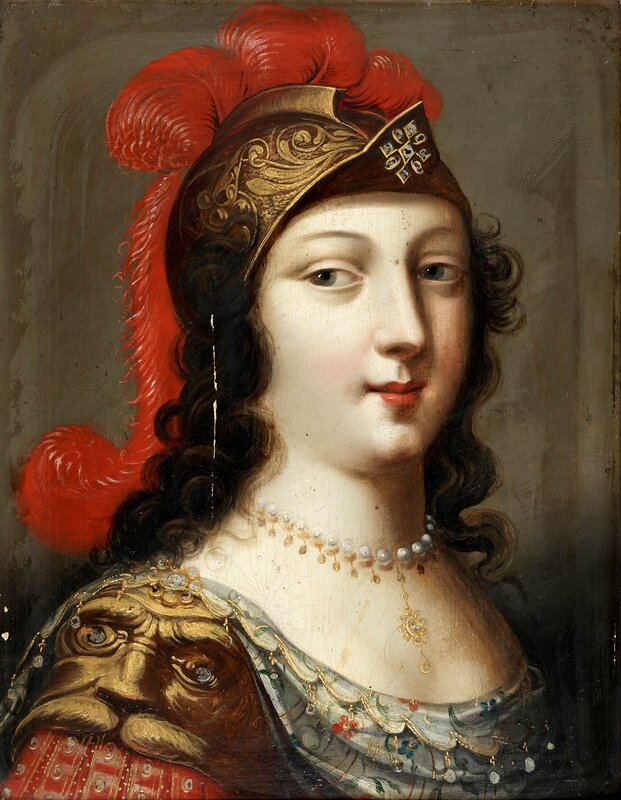 Christina traveled though Europe, often dressed as a knight, and finally arrived in Rome in December of 1655 to great fanfare. She entered the city though the Porto del Popolo, newly redecorated in her honor by Bernini, where she could read Pope Alexander VII’s personal greeting that is still inscribed over the gate: “Felice faustoque ingressui – 1655” (“May your entry be happy and propitious”). Over the next few weeks she also attended a special performance of Carissimi’s oratorio Il sacrificio d’Isacco at the German College, along with several theatrical and opera performances at the Barberini palace. Christina at first took up residence in the Palazzo Farnese, eventually settling in the Palazzo Riario. Music and the arts remained an important part of her life and patronage as she quickly established her Academia d’Arcadia, where participants enjoyed and took part in music, theatre, literature, philosophy, science, and languages. She named Carissimi her Maestro di Cappella del Concerto di Camera, making him central to the musical aspects of her gatherings. This was a major coup, as Carissimi was firmly situated as the chapel master at the Jesuits’ German College and had already refused several important positions elsewhere. She also had close relations with the Barberini family, and “borrowed” several of their musicians, including Marazzoli, Pasqualini, Vittori, and Giuseppe Melani. (She apparently took voice lessons from the castrato Loreto Vittori and was accompanied by Marazzoli, probably on the famous Barberini harp.) Eventually she became patron to the composers Bernardo Pasquini and the future important composers Arcangelo Corelli and Alessandro Scarlatti. There was also the Leonora Baroni and her daughters who were in Rome for several years…. I must tell you that she did me the special favor of singing with her mother and her sister, her mother playing the lirone, her sister the harp and she the theorbo. This concert, composed of three beautiful voices and three different instruments, so affected my senses and so ravished my spirit that I forgot my mortal condition and thought I was among the angels enjoying the delights of the blessed. Christina was known for often going against conventional Roman customs and mores. This applied not only to promoting women performers but to other traditions as well. For example, in Rome, there was a reprehensible custom of chasing Jews through the streets during Carnival; she issued a proclamation that Roman Jews were under her protection. 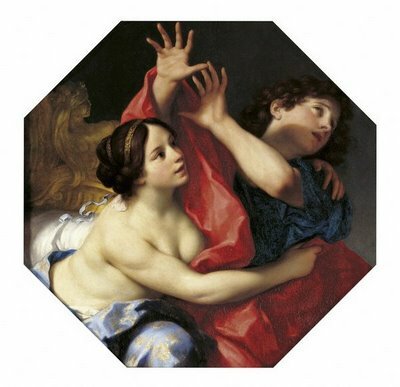 It was said that she took a practice shot with a cannon at the Castel Sant’Angelo without bothering to aim it, and hit the door of the Villa Medici. (The dented door is still there, and the supposed cannon ball is now atop the fountain in front of the entrance.) She became both the darling and the scandal of Rome and at the same time, one of the great patrons of the arts. Christina died in 1689 and was buried in St. Peter’s Grotto, one of the few women ever to ever receive that honor. In 1933, the great Greta Garbo appeared in “Queen Christina,” a fictionalized movie about her life and abdication. Christina remains one of the most interesting women in history, and numerous books and articles have been and continue to be written about her. Her lasting reputation as a witty and freethinking historical figure is complemented by the enormous musical legacy she fostered during her years in Rome as patron to the arts. The music on Armonia Celeste’s program is a testament to the strong musical traditions cultivated in her courts and academies. We are performing “Udite Amanti: Lovers, Beware! 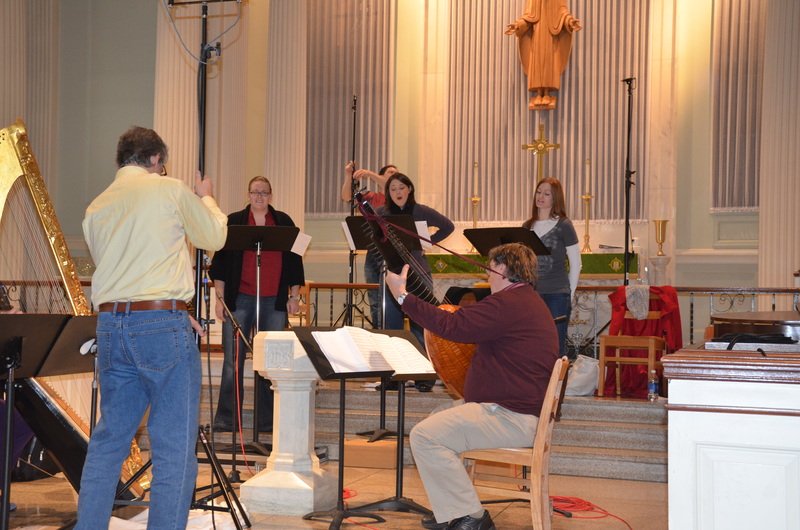 Music from the Seventeenth-Century Barberini Court,” our exciting program that has gotten audiences to their feet everywhere we’ve toured it. The concert explores the dangers of love in early baroque Italy, giving listeners a glimpse into a forgotten—yet strangely familiar—world. In the Rome of the mid-1600s, the patronage of the powerful Barberini family engendered a period of great productivity within vocal chamber music and opera. The trios, duets, and solos—both instrumental and vocal—on this program represent the refinement of style that occurred in the Barberini court. Works of the Roman composers who were heard at this court or who served the Barberini family during the mid-seventeenth century are highlighted, with the music of Rossi, Carissimi, and Cesti (named by Perti in 1688 as “the three greatest lights of our profession”) serving as the centerpiece; other composers of the era such as Frescobaldi, Tenaglia, Marazzoli, and Pasqualini (one of the Barbarini castrati) are also represented. To complete the historical picture, an exquisitely carved and gilded copy of the famous Barberini harp, made for this prestigious family ca. 1630, will be played for this program. Further in-depth information on the composers and repertoire in this concert can be found here and here. Please make sure you come back and say hello after the concert—we’d love to meet you! $15 general admission; $5 students/seniors; free to children age 12 and under.